In the lead-up to any major boat show there are a lot of press releases flying around. The 2018 Miami International Boat Show was no different, and one such announcement was from a new division of Brunswick called NAUTIC-ON. While I made a mental note to see what they were all about, frankly my expectations were meager. But what I encountered was a style of boat monitoring that far exceeded my expectations. When I sat down with Adam Schanfield, NAUTIC-ON’s General Manager, and asked him to describe their product he said, “It’s about keeping you on the water.” He means it. 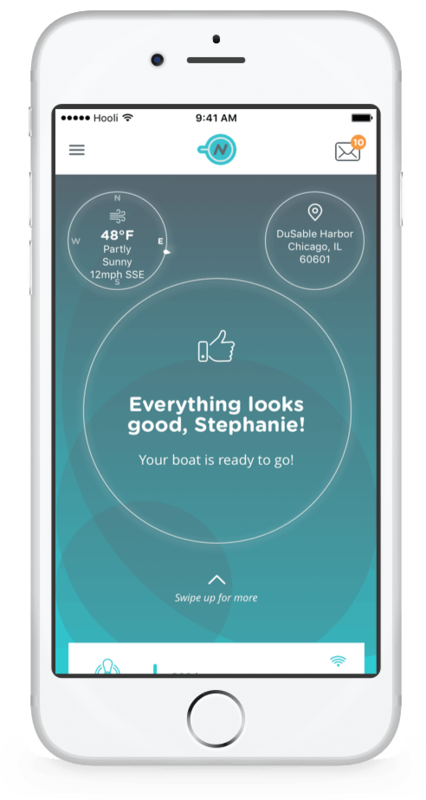 They’ve designed their product from the ground up to monitor your boat in intelligent ways and keep you on the water enjoying your boat. He also said their target boat is one “not stored at your home.” This means they’re trying to make sure that if you’ve trekked to your boat to enjoy a day on the water your boat is ready to enjoy. Back to those meager expectations for a minute. The only thing the press event schedule said was “Debut of NAUTIC-ON, a new Brunswick brand. Demonstration of the NAUTIC-ON smart boating platform and how it supports Brunswick’s technology and innovation strategy.” So I was expecting to see some PowerPoint slides of a me-too product Brunswick was hoping to produce. Instead, we saw off-the-assembly-line product, plus a clean, powerful looking mobile app, and a lot of smarts throughout. NAUTIC-ON’s launch strategy focuses on thoroughly monitoring three areas of the boat. The hub has NMEA-2000 and Smartcraft inputs to monitor the engine while the first two sensors Nautic-On will ship monitor batteries and bilge pumps. The hub also has a GPS receiver making boat location the fourth item monitored. 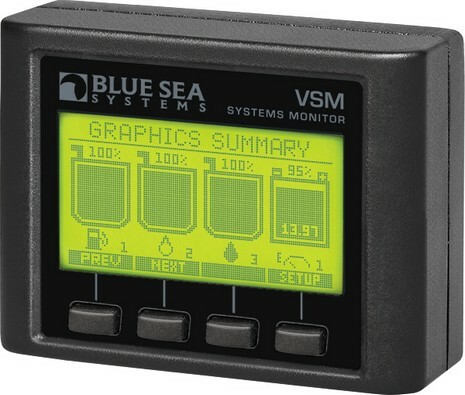 Every boat monitoring system on the market monitors batteries. 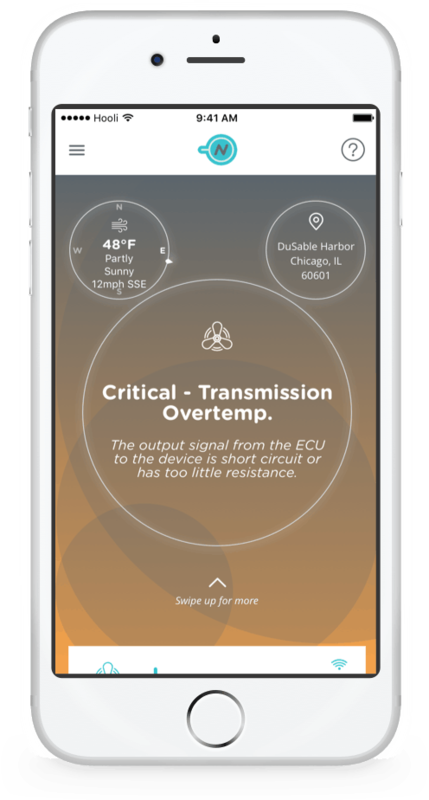 Most do this with two wires that measure and alert based only on voltage, but NAUTIC-ON is using a shunt sensor able to deliver voltage, bidirectional current flow, and battery temperature to the hub. Anyone who has spent much energy (sorry about the awful pun) on battery system design and management is aware how much more there is to a battery system than just voltage. Armed with added information NAUTIC-ON can tell you a whole lot more about your battery bank, and perhaps most importantly for an unattended boat plugged into shore-power, give you a meaningful warning of impending trouble. NAUTIC-ON takes a very similar approach to bilge pump monitoring. The standard boat monitoring system approach is to connect a wire to the bilge pump so the monitor can see when it’s energized, and thus allow the system to track how many times the pump has engaged and for how long. 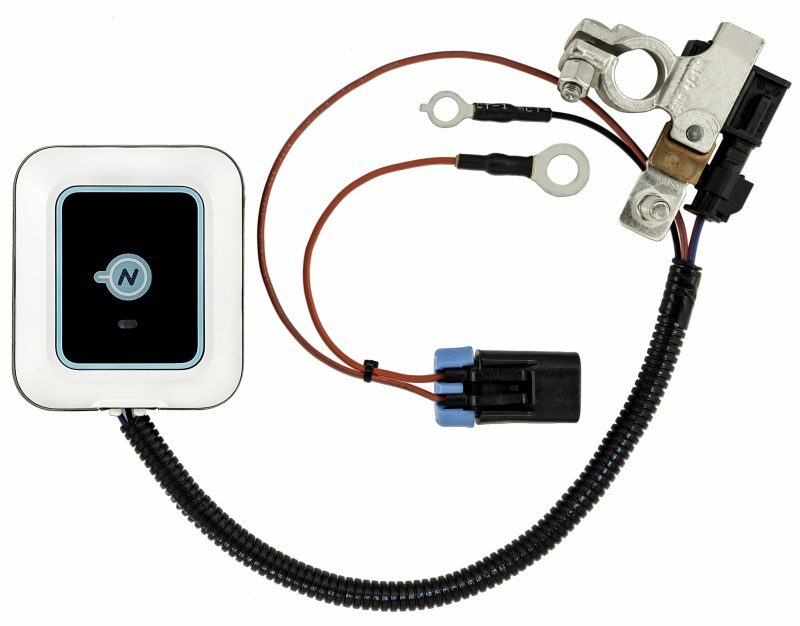 NAUTIC-ON’s bilge pump monitor connects inline between the power source and the pump. This again affords NAUTIC-ON a wealth of information about what’s going on with the pumps. Based on power consumption they can tell if the pump is running, cavitating, running but not pumping water or has debris stuck in the pump. That last trick, in particular, gives them the potential to save a pump before it burns itself out. 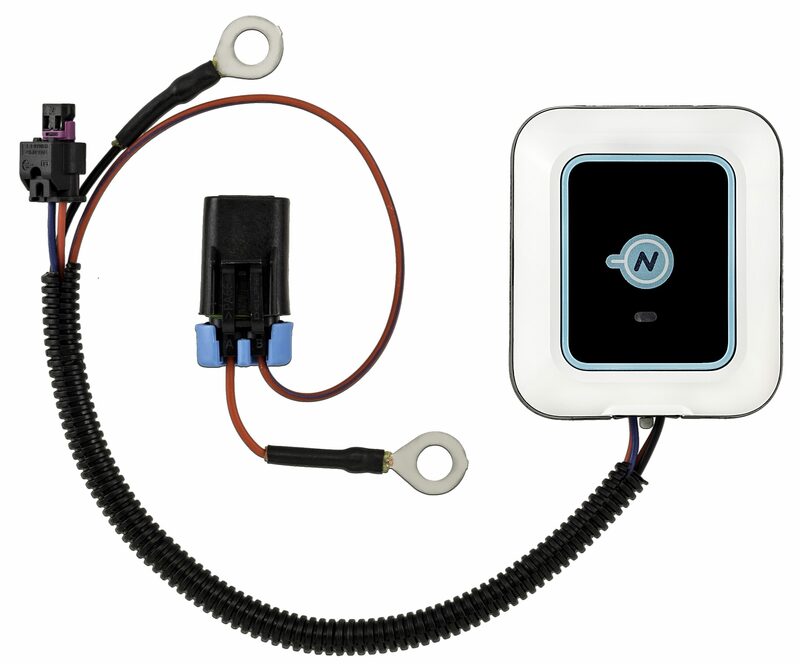 Nautic-On also says they can tell the difference between a pump being activated by a manual switch or a float switch. Despite all the intelligence NAUTIC-ON has built into their system it doesn’t look like the two sensors and hub at launch will be able to fully cover the boat. With the launch sensors I don’t see any way to monitor a high-water switch. Both sensors communicate with the hub wirelessly. This should make DIY installs nice and simple. The sensors charge their internal batteries using power from what they’re monitoring. NAUTIC-ON says this should give the sensors at least a ten year life without replacing batteries. The last piece of the smarts at launch is engine monitoring. NAUTIC-ONs Brunswick heritage is on display here with both SmartCraft and NMEA 2000 interfaces on the hub. 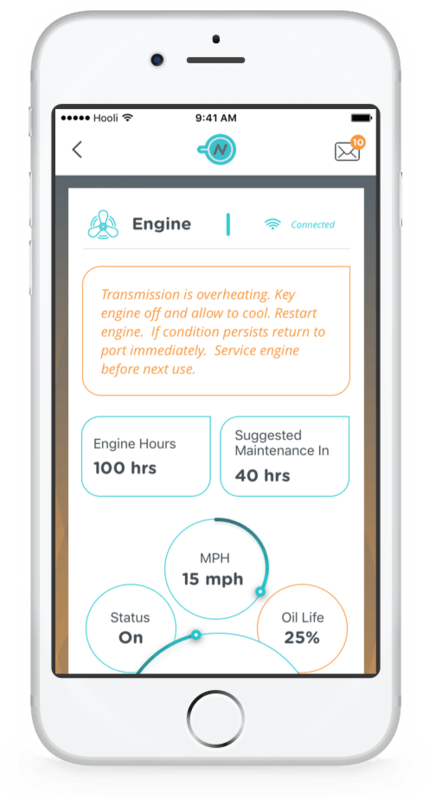 NAUTIC-ON’s Adam Schanfield says they use the fault codes coming from the engine to alert the customer to what their engine is reporting. He says the features and experience are pretty consistent across NMEA2000 and Smartcraft. Most of the variability comes from the level of granularity the engine reports. NAUTIC-ON is targeting boat builders as well as customers retrofitting the system to their vessels. They’ve put a lot of thought into the manufacturer / service-provider functionality of their system. It appears much of the alert functionality available to an end-user is also presented to service-providers. It’s here that NAUTIC-ON is really able to show how they keep you on the water. Automatically notifying your dealer or service person to a problem should assist majorly in shortening the time to resolve problems. I can see a workflow especially on new boats where a problem is found via NAUTIC-ON’s system over the weekend, the manufacturer and dealer are notified automatically. By Monday morning a warranty claim can already have been created, parts ordered and a service visit scheduled. NAUTIC-ON says they are already working with three manufacturers to integrate their products into newly built boats. If the system can deliver on the promise shown in these early days I suspect we may well see it represented on many more brands in the future. 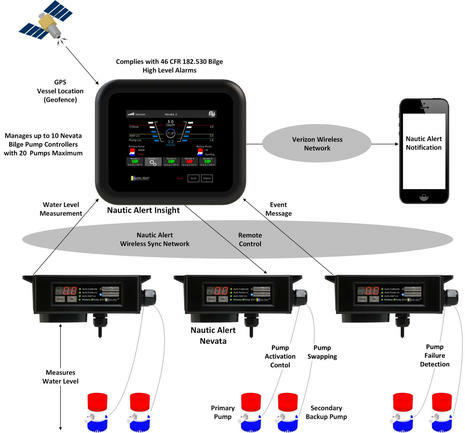 The NAUTIC-ON system will ship without the bilge high water, motion, contact switch, shore power, stand-alone temperature, relay control and other sensors of several of the shipping boat-monitoring systems. During my conversation with him, Adam Schanfeld made it clear they are aiming for depth and intelligence in their core areas of focus before they expand coverage to other sensors. 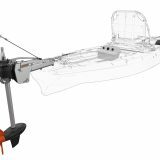 I hope to test a unit as soon as NAUTIC-ON is ready to ship. I’m anxious to see how it will compare the Boat Command and FloatHub systems I currently have on my boat. Boat Command has staked out the value leading position with an attractive price point. 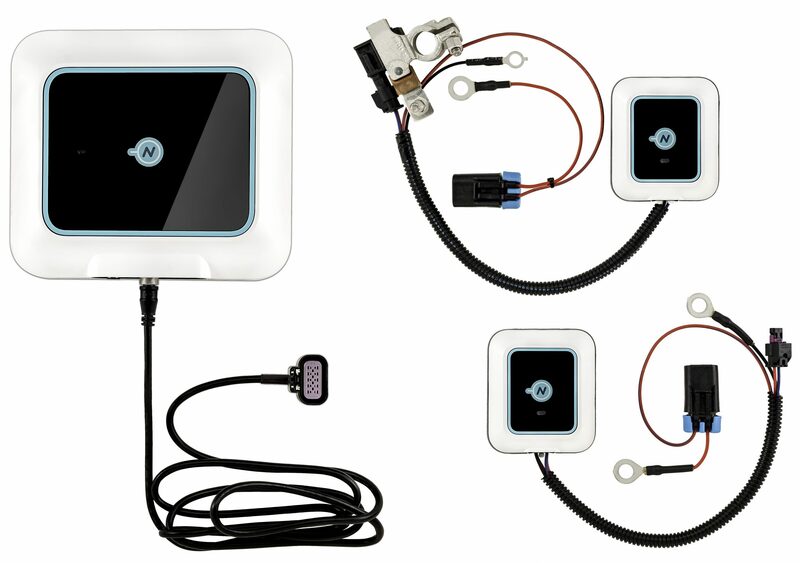 FloatHub offers good integration capabilities with a NMEA-0183 input. 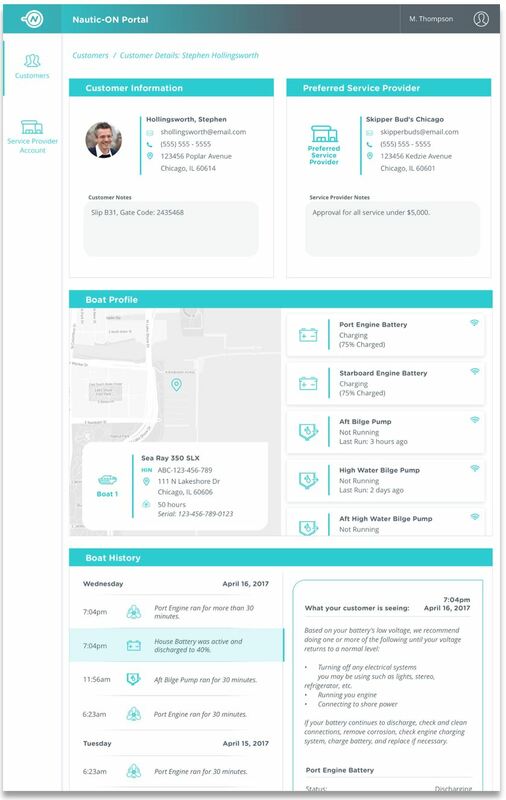 It doesn’t look like either will be able to compare to the smarts of Nautic-On but the proof will be in real-world use. It also doesn’t look like Nautic-On is yet ready to match any of the shipping products for breadth of monitoring. NAUTIC-ON plans to start shipping in late April of 2018. 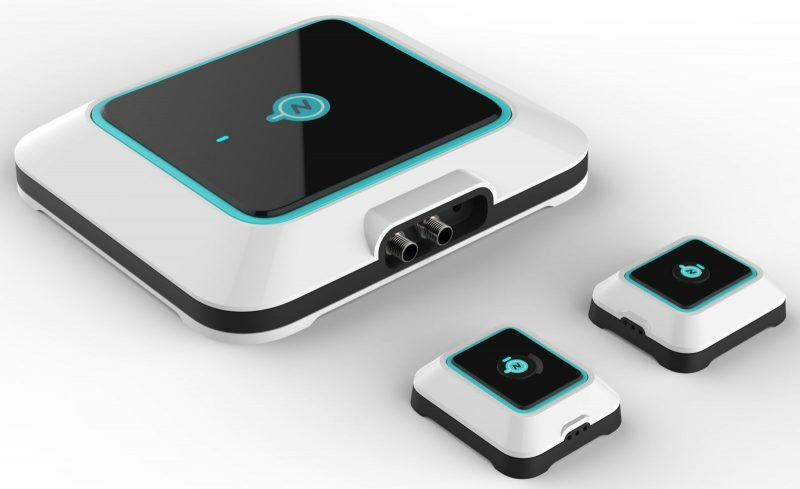 They’re offering four kits with one, three, five, and eight sensors bundled. Pre-order pricing starts at $600 for the one sensor bundle and tops out at $1,470 for the eight sensor bundle. An annual subscription is $149 and a seasonal subscription is $99. The subscription covers both the monitoring service and the 4g cellular data. 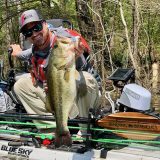 Publisher of Panbo.com, passionate marine electronics enthusiast, completed the Great Loop in 2017. I think it’s a big deal that Brunswick — possibly the biggest recreational marine company? 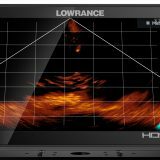 — has gone into the boat monitoring business. 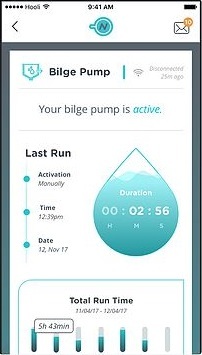 The pump monitoring app screen looks great, and I can understand how the sensor could use current flow to diagnose some problems like a pump clog, but how could it know if a wire connection fails between it and the pump, or if the float switch gets jammed open? Hopefully Nautic-On will provide some more detail, but in the meantime maybe someone can help with this puzzle? I can’t help you with the puzzle,Ben E – but this looks like a good system for someone who hasn’t done much in the way of monitoring their boat to get decent coverage of the big stuff (is it sinking? is the battery dead?). How does it communicate? My experience with Bluetooth suggests that it doesn’t go far in a boat (if I leave my fone in the nav station, my headset disconnects before I get all the way to the aft stateroom). Even Wifi doesn’t penetrate to every corner if it’s a small internal antenna (like these units appear to have). Hartley, I don’t think Nautic-On is specific about the wireless protocol they’re using, but I’d guess DECT. I have an Ooma wireless home phone and security system that has shown me that DECT 6.0 can have amazing range. I have relatively inexpensive and totally wireless motion, door and water contact sensors working fine in places my home WiFi can’t touch at all, and WAY beyond Bluetooth. Ben, we’re down in Uruguay, Argentina & Chilé for s few weeks – on land. Will Brunswick’s new monitoring system work when only a 3G communications network is available? That”s a good question and I think the answer is no. Nautic-On was careful to point out they’re using 4g, not 3g for their cellular connectivity. They pointed that out as proof of their future=-proof design because carriers are likely to start decommissioning their 3g networks. I don’t know if they thought about other parts of the world. That said, if you’re in a place with 3g coverage but the boat is in 4g coverage you would be fine.